The secret to great skin is simple! Its starts with a daily commitment allowing treatment results to accumulate, hence with daily use the skin just gets better & better. The key to effective Skincare is ensuring your skin care line is a cosmedical one, using the purest combination of medical grade ingredients and cosmetic science, the only combination that can make an actual skin difference. O COSMEDICS uses essential concentrated vitamins, antioxidants, peptides, potent actives and its very own world exclusive V8 peptide complex™ in a biomimetic bases (natural affinity to the lipid bilayers of the skin barrier) to support skin health and ultimately skin youth. O COSMEDICS stands for timeless and ageless beauty, the chance to be comfortable in your skin throughout the ages. 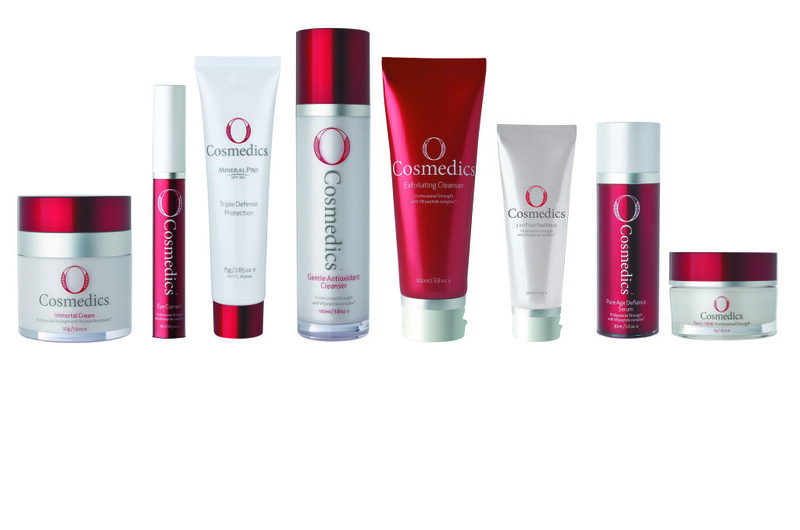 O COSMEDICS empowers you to be confident because looking good means feeling good. Click here to learn more details about the range. Please send us the details of your booking and one of our consultants will promptly reply. SKINNOVATION LASER CLINIC© 2015. ALL RIGHTS RESERVED.